Picking up after the events of The Power of the Dog, Adan Barrera is sitting pretty in a Mexican jail. With corruption at its highest, Adan’s cell looks more like a luxury condo as he orchestrates the actions of his cartel outside the prison walls, waiting for the right time to escape. Art Keller is living a modest life off the grid. After Barrera’s escape, Keller is brought back into the fold, charged with tracking down and capturing Adan. And so, it begins again. Keller vs. Barrera. Round Two. When I finished Don Winslow’s epic crime novel The Power of The Dog at the end of August, I was overwhelmed. Overwhelmed by the constant, escalating violence that bloodied the pages. I knew a sequel had been written and as much as I wanted to dive right in, I knew I needed a break. There’s only so much unmitigated carnage this reader could take. 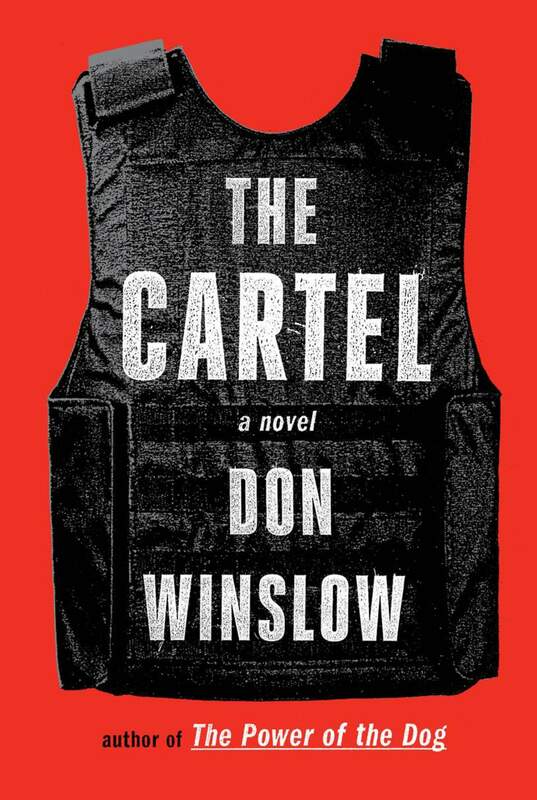 After four months, I allowed myself to re-enter Art Keller and Adan Barrera’s blood feud in Winslow’s follow-up, The Cartel. Although Winslow covers a much shorter timeline (ten years as opposed to the roughly thirty in the original), he crams in just as much stomach-churning brutality as the battle escalates between warring cartels south of the border. And by brutality, I mean a pure balls-to-the-wall blood bath. Seriously, this isn’t a book for someone with a weak stomach. In fact, I would often horrify my girlfriend when I would tell her about the awful torture scenes. I’d give out a few details but I think a certain shock factor would be lost. The War on Drugs is a vicious one. There isn’t a line that any of the players involved are not willing to cross. Violence begets more violence as each Cartel struggles for drug dominance. There’s so much death and destruction within that I started to grow numb to the monotony of the atrocities (beheadings, limbs torn from torsos, narcos burned alive). However, somehow, there’s always something much worse that Winslow has waiting in the wings to throw at you. With that said, it’s easy to justify Keller’s fascinating progression from determined DEA agent to something much, much worse. Faced with continuous unconscionable actions from the narco cartels, Keller is given little choice when faced with altering his strategy and putting aside his morals to take down Barrera and his rivals. Despite the ending being wrapped up with a bow, I could easily read several more novels written around the decades-long conflict between Barrera and Keller. The Cartel is a hell of a character study surrounding two men who both live to spite one another. December 14, 2015 in Don Winslow, Fiction.